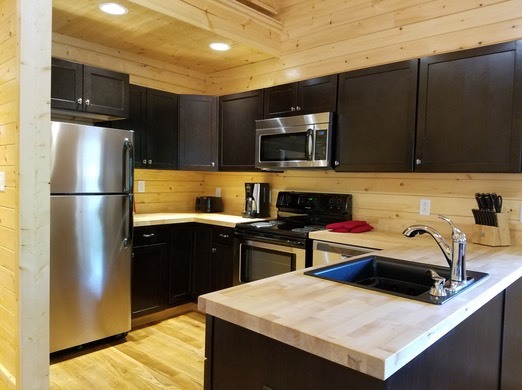 Our newest cabin built in 2017—also our largest cabin—3 bedrooms, 2 bathrooms and a full kitchen! 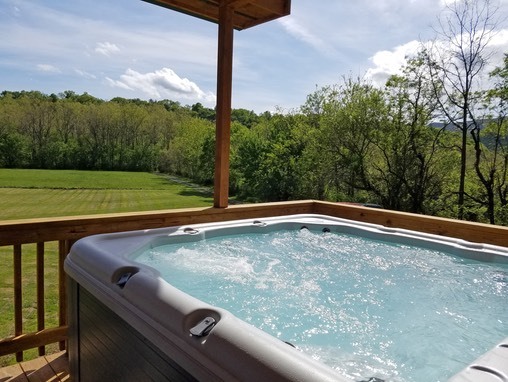 The hot tub on the deck is just icing on the cake! 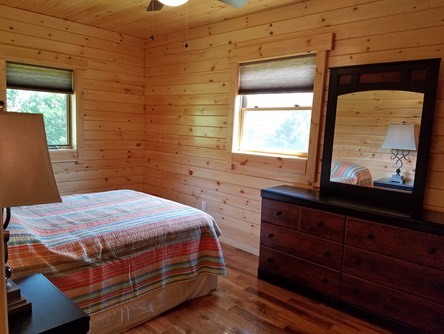 The River Lure is on 7.5 acres along with the Angler, Drifter and Paddler cabins. Each cabin is set up for a max of 6. 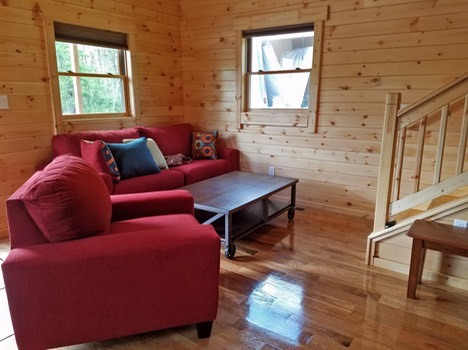 Rent all 4 for the family reunion, a business retreat or lots of friends! The Shenandoah River is just behind the tree line down from the cabins. You can easily walk to the river or drive down the driveway on the other side of the meadow. At the river, there is a picnic area and easy acess to the river for canoeing, fishing and swimming. We have a lock box on the door of each cabin. When paid in full, you get the code and can go directly to the cabin. 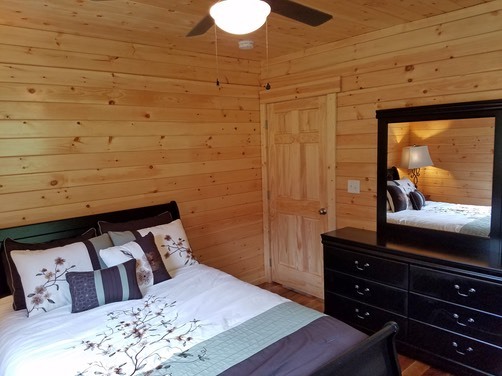 The cabins are 'pet friendly' and 'smoke-free'. No camping at cabins or river is allowed. Click here to go to the Calendar pages to check on open dates for your plans.Do hit 'back' to return to this website! or explore our main website! At Shenandoah River Outfitters, you can rent canoes, kayaks, rafts and intertubes to enjoy on the river. 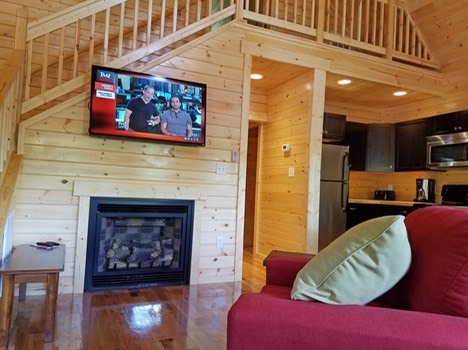 You can go on a river trip (from one boat landing to another) or just hang out on the River by the cabin. 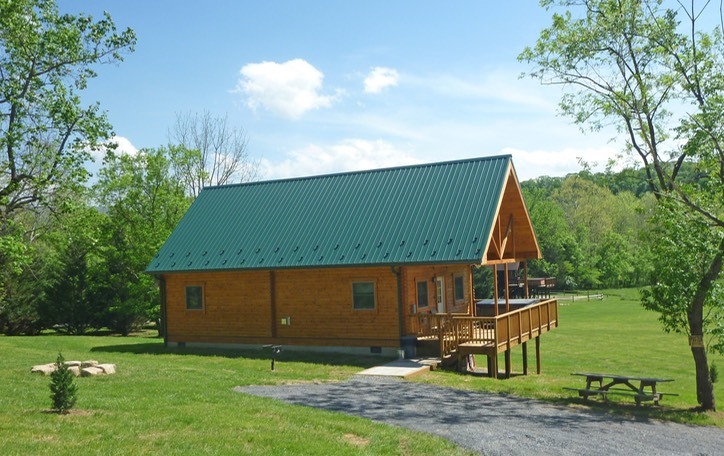 These cabins are located about 17 miles from Luray VA and about 7 miles beyond the Shenandoah River Outfitters. 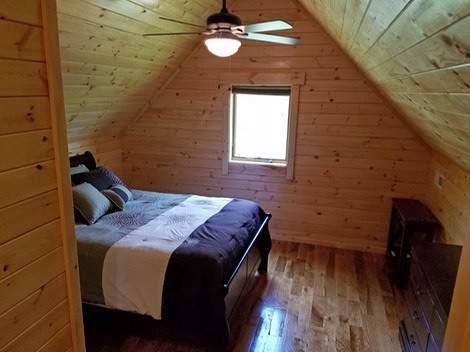 The setting is one of woods, fields, mountain views and the banks of the Shenandoah River for great fly fishing, bass fishing and just playing in the river. Just up the gravel road is access to George Washington National Forest for hiking, bird watching and animal watching. Here is a list of hikes in the area. Back in Luray (17 miles) are grocery stores, antique shops, Luray Caverns and places to dine. Shenandoah National Park entrance is another 5 miles with all of it's hiking trails and amenities. Horseback riding can be found in Fort Valley(16 miles), and Shenandoah National Park(30 miles). The Luray area offers golfing, mini-golfing, airplane rides, biking-mountain and road, and much more. Check the Attractions Page for phone numbers.